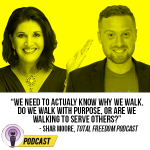 Welcome to the Total Freedom Podcast! It’s Chris Duncan here with Stacy Tuschl. Stacy is absolutely crushing it on her online and offline businesses. I am super excited – she’s not only somebody that I’ve had the ability to spend a lot of time with, and see inside of her business, but also someone I massively admire in the business sphere, so. Chris: Stacy, it is so great to have you here. Welcome to the show. Stacy: Thanks, Chris! I’m so excited to be here today. Chris: — you have your own successful podcast, you’re a mum, you have a seven-figure dance studio, a coaching business – like, wow! Chris: I’m always so impressed whenever we talk about everything that you’re doing. It’s pretty amazing. I’d love for you to start by giving the listeners a bit of an intro into who you are and what you’ve been up to. Stacy: Yeah! So – well, first, I am a mom. I’ve been married to my husband for eight years. My two little girls – I’ve got a fifteen-month-old baby and a three-and-a-half-year-old. That alone can be very challenging. And then you start to pile on the business and everything that comes with it. Stacy: Like you said, my first business was – is my dance studio. I started teaching dance in my parents’ backyard for free, for fun, when I was 18. And it was just something I was going to do as a hobby. Stacy: Yeah – and it kind of snowballed into a real business. That was 14 years ago, and now it is a seven-figure business with two locations and it’s just incredible. Chris: And that alone is enough! I mean, being a mom, and then the kids, and then the marriage, and then one business – but you went and stacked on your internet businesses and everything as well. Chris: The first thing I want to ask is how do you manage it all? Stacy: I think you have to realize that when you see somebody that is doing all of this, it’s never just them. There is a team. And whether that team is at home, they have to have a supportive family backing them – but I also have a team of – an amazing group of staff, about forty people in my brick and mortar business. Stacy: It didn’t just all of a sudden start with forty people. One by one, we slowly added where we needed it. We have these systems and what makes us, you know, go up and running right now. Yes, we weren’t there fourteen years ago. We had to really build that structure in. Stacy: So things have been going well, but it really is finding those right people and getting them on the right seat on the bus. Chris: I agree. It’s absolutely huge to have the right team and the right people. Chris: Listeners, we can go a lot of ways today. I think a way that we haven’t explored in quite a while is scaling offline businesses and systems and delegation. So, Stacy, if it’s alright with you, I think that’s where we’re going to head. Chris: So, you said that it wasn’t always the way that it is now. What was it like in the beginning? Stacy: I wanted to add some more things in, and I just couldn’t do that by myself. And it was kind of like I was missing certain specialties. I wanted to have other teachers that could come in and teach something that maybe I wasn’t that great at. I started by adding two different teachers that could come on for me, and also teach them in my classes, so I could step out of my business and work on it. Chris: So, the first thing you focused on was getting other people to do the teaching? Stacy: Yeah! It was. It was something that – and I shouldn’t say all of the teaching. I mean, I was still the main teacher. But it gave me a night to myself to be able to work on it. You know, get those systems in place. Think about marketing and everything else that I needed to be doing besides actually being in the classroom. Chris: Now, most people that have a service get stuck in their service. Chris: They need to be able to not only build it successfully with revenue, but also have time freedom as well. So you obviously had to be able to do a lot of systems and planning and those sorts of things. Would you take us on a little bit of journey? Stacy: Yeah, and it can be really challenging because when you’re the person providing the service, you have very high expectations, and – yes, I have to think as the dance teacher, but I also have to think as the studio owner. And those are very different positions with very different objectives when you’re running both of them. That is something I see happen a lot with somebody who is – you know, they’ve created this product or program or service, and now they have to step away and they have to actually focus on it. Stacy: So, it’s a really – it’s a different mindset. You have to shift, but you have to be careful, because you still need a little bit of that dance teacher in me to come out and say, “well, we have to create a really high-end product and give the people what they’re looking for,” but then I have to make sure that we’re actually making money from it too, because sometimes people are losing money because they’re trying to over-deliver, and they’re not making up for it in other areas. Chris: — and then we have to make that shift. A lot of people don’t make it. Chris: They – they end up doing it forever. What was it like for you to make that shift? Was it something that was easy – you were just over doing the dance? Stacy: No, it took me about a year – after I incorporated, it took me about a year to go; “okay, something’s not working, something’s gotta go.” It was just, I was overwhelmed, I was working like crazy, I was gaining weight – because, as a dance studio teacher, I would teach all night! I would eat dinner at about ten o’clock at night, stop at a fast food restaurant – I mean, it was just bad habits everywhere. Stacy: And that’s what really changed me, was getting out there, listening to somebody who was already doing it – and doing it well – and everything that I wanted; I wanted the lifestyle, but I wanted a place where I could spend time with my kids when I became a mom, and – and I knew all of this stuff going in to it, so that was a big eye-opener for me, was that first event. Chris: — the thing is, only three percent of businesses ever make it to a million. So, you and I are both in the top 3%. And, I know both of us are all, “oh, yeah, whatever. It was easy!” But, what are some of the things, like – how did you make that transition? So many people don’t. Stacy: I had to really understand that I don’t know everything. Stacy: And there are so many people out there that are smarter than me. I had to become teachable, which was kind of different for me, because I am very – growing up, I was very bossy. I was always the leader, I wanted to be in charge. I started a business so I could be my own boss, but now I’m hiring coaches and listening to other experts. And it was different, because all of a sudden it was like I did have a boss. They were telling me what to do. Stacy: So, it was different, but I had to learn to be teachable because you just don’t know what you don’t know. Chris: We spend so long in a job and at school, making it all about us. And then, as soon as you realize it in business, it’s nothing to do with you and your skills as an actual doer, and more of a leader. Everything changes. Stacy: Yeah, I couldn’t agree more. Chris: It’s crazy to me. Chris: So, you did that. You were able to be teachable, you learned, you created systems, and you hired, and then you brought on other staff to give you freedom and your time back. Once you got your time back – when you say working on your business, what exactly is that? Like, I know a lot of people say, “I work on my business,” but, for you, what are you focused on the most? Stacy: Well – and this was something that I did incorrectly. Stacy: So, I thought getting out of my business meant, “okay, I need to get out of the classroom, and now I’m going to work at the front desk, and I’m going to be kind of the receptionist, and I’m going to work on it,” thinking, “I’m going to work on it, not in it.” But I was still in it. Stacy: You know, I didn’t really back away. I kind of had to transition twice. I removed myself out of the classroom, but then I had to remove myself out of the desk, because people got so used to seeing me, having me answer their questions. And what I realized is, I can’t be sitting there in my brick-and-mortar facility and think I’m going to get work done. Like, that just is not going to happen, because your staff is there asking questions, your customers are there. And you want to be engaging with them, so you just – you can’t mix that. You really have to separate. Stacy: So when I say, you know, working on it, I mean I’m actually in my home office, working on things that need to happen that are not physically in the space. And that made a huge difference. Chris: So, moving out to your home actually increased your productivity. Whoa! Stacy: Yeah, 100%. Which, I know people think that’s so crazy. I mean, right now, I have two locations. What’s great about that is I could never be at both locations at the same time anyway, so now that I have two locations, I literally work zero hours in my business. You’ll never see me at one of those locations. But, I go in once a month, and I have a huge leadership meeting with my leaders that are on my staff. So all of my managers, department heads – people like that? And I’m there just to structure that meeting, and kind of do a little check-in, see where we’re at. Stacy: We measure, we track, and then we make sure we’re getting better each month. So that’s what I’m doing in my business specifically, but everything happens from my home or if I’m travelling. I just really need my laptop and I’m good to go. Stacy: Absolutely! You know, I had – I met a friend at one of my conferences, and she owned a studio in Michigan, but she lived in Texas. Chris: That’s huge, Stacy! 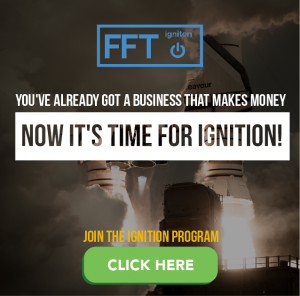 If you ever – have you ever looked into that, like, taking a service in a brick-and-mortar business and actually showing others how they can actually get freedom from it? Stacy: Yeah, absolutely! And that’s one of the things that people do admire about me. They like their brick-and-mortar, they don’t want to let it go, but it’s just – they’re drowning in it. They can’t keep up with it. They’re nonstop. They feel like they have to be the front-and-center person that people see when they walk in the doors. And that’s not the case. Stacy: My business is very – it feels almost like a franchise. It’s very professional. People always think we have several locations all over the place. But we’re still very engaging, and very small-town community. Everybody knows everybody. We have these amazing staff members that get to know our dancers and their parents. It really is a community. And I think that’s the key – creating that in-house, and you don’t have to be the center of all of that. Chris: That’s huge Stacy. If more people could actually see that that is a possibility, I think people would be even more excited about being an entrepreneur. It’s so big. Chris: So, you’ve obviously got a lot on with just running that. And then I heard that you’re now doing coaching and doing other things for other businesses. What are you excited about now – well, actually, first; was one or two just not enough? Chris: What happened for you to start another business? 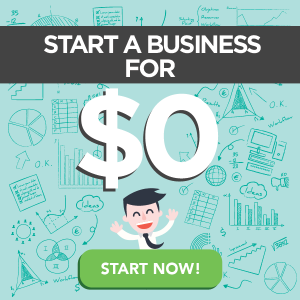 You were making seven figures, you got that going – why did you decide to start another one? Stacy: Yeah! So, what’s interesting about that is, it really was about needing a challenge and needing to keep busy, because I built this business that didn’t need me anymore – which is great! – but I like doing things! And I like working. I’m a really hard worker. Stacy: So, when you build up businesses that you don’t need to be at them, and they’re all self-run – we’ve got systems in place and a team of forty people – everything is great! I all of sudden felt, like, “okay, but now what? What can I do?” because I was looking for something. It kind of started organically, like the dance studio. You know, people would ask me; “hey, can I take you to lunch? Can we go to coffee?” I had somebody say, “hey, can I pay for a Skype call with you?” because they lived out of state. Stacy: And that was when I started going, “okay; maybe I have another business here. Maybe I could be doing this!” And it was so fun! I was already doing it for free, for people that wanted to kind of pick my brain. So that’s how it started! Stacy: And I love that both my businesses started organically, with me doing them for free. Because that means I’m really passionate about what I’m doing. Chris: Do you know how many people have come on this show and they’re number one piece of advice for people starting a business has been; do it for free, and then use case studies as you build your business. From Russell Brunson to Ben Settle to Ryan Stewman – the top of the top, people making seven and eight-figures every single year all said that same thing. So, what a great little gold nugget you just dropped right there. Chris: So, you obviously decided that, “wow, okay, I’m coaching and mentoring these people. Maybe I should give it a go.” So, who are you helping with, right now? Like, what’s your focus? Stacy: Right now, I’m helping other female entrepreneurs. Most of them are moms. They’re looking to build that business from home, but that doesn’t mean they’re online. They might be offline, brick-and-mortar, but the whole point is, they want to be able to be at home and have that flexibility that they can be wherever their kids are. Be at fieldtrips, don’t miss the dance recital, go to those soccer games – things like that. Stacy: And I love it! It fuels me to be in business, but now that I’m a mom, there’re so many other challenges that come along with it that I want to help people figure out that productivity side and that high performance. Chris: That’s big. You’re working with the mums so they can have more time, high productivity, high performance. Obviously, there are a lot of mums that aren’t being high-performing and having high productivity, so let’s dive in to it. I feel like we’ve covered so much, Stacy! I think we’re in hyper-drive on this show. Chris: Listeners, if you’re struggling to just, like, take this all in – if it feels like a fireman house, the amount of information that’s coming at you, you might want to take a short break right now. You can head over to christophermduncan.com/podcast, and you can have a look over there, get the shownotes, maybe you want to reverse through this. Chris: We’re going to make a shift. So we’ve talked a lot about Stacy, and as soon you come back, what I want to be talking about is, I want to be talking about productivity with you, Stacy, and what it is you’re doing now in your online business. Chris: Come back to us in just two minutes, listeners, and we’ll be back with you very shortly. Chris: Welcome back, listeners! 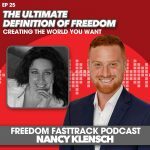 Here we are with Stacy Tuschl – seven-figure business owner, offline dance studio extraordinaire, and now coaching other people online how to do the same and how to have total freedom. We’re excited, Stacy, we’re covering so much. Let’s dive into productivity. Chris: Why do people need to still go into productivity? It seems like we’ve all had time planners, everything, for years. Stacy: Well, I think you have to just understand that you’re going to spend time, you’re going to spend money, you’ve got to figure out how to use the most out of it, because both are limited resources. 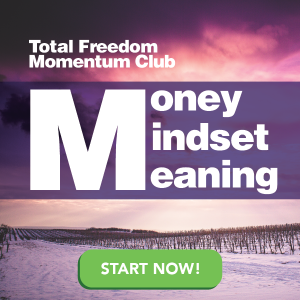 So, I’m looking at both – whether it’s money or time – understanding that I only have so much, and I’ve got to figure out what I’m going to cram into my day-to-day to really get me to my goals at the end of the 90 days, or however long you set them. Stacy: It’s just so important – especially when you are a parent, and you’ve got to make sure that you’re not planning just for yourself. Now you’re planning for your kids, maybe your spouse, you’re just getting everything ready to go. So, productivity is a huge thing that I teach other fellow entrepreneurs. Chris: And, every single listener, you’re subscribed to the Total Freedom show. So, if you don’t think productivity is critical in freedom, here’s me saying productivity is critical in freedom. Because, as Stacy has said, we’re all running out of time. We’ve all got a certain amount of time. Chris: Now, I just want to interject with something here, and that’s this – actually, let me ask, Stacy, just for fun; think of the person that you care about a lot in this world, and then let me ask you this: how much money would I need to give you for you to give me their life? Stacy: None. It just isn’t going to happen. Chris: It’s ridiculous, right! I get that answer a lot; “what a silly question!” And then I always back this up with, “well, then, why are we doing it with our own [time]?” So many of us are giving our time away, and people are trading it for money. So we’re effectively doing it with our own. So, listeners, that’s why productivity is important. Chris: So, let’s dive in. What are some of your big productivity hacks or tricks that helps you to manage not just one business but multiple businesses and a family? Stacy: My biggest thing is I schedule proactive work in the morning, and then reactive work in the afternoon. So I do a lot of podcast interviews, whether I’m on somebody’s show or they come on mine. It’s just – little things like that; I need meetings, coaching clients, anything – there’s a lot of times where I have to meet with people. Stacy: All of those meetings have to happen in the afternoon, so that I can actually get to work in the morning and get stuff done. Chris: So proactive in the morning – forward-focused – reactive in the afternoon. Chris: What are some things that fit under proactive? 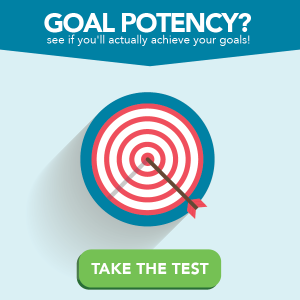 Stacy: Proactive is really just – it’s you, working by yourself, getting things done. I do not get in my email, that’s a huge thing I have to make sure you’re aware of. I am really working on my computer, doing things where it’s like revenue generating. I’m thinking of ways that – the business is going to grow, right? I’m looking at ways to – I’m not reaching out to people, I’m not engaging my community. That’s time for me to build the content to share with my community. Stacy: So it’s all about long-term. What can I actually do? Because if you have – let’s say you use an appointment calendar – a lot of people use Calendly – things like that. If you’re just opening up your calendar and letting any timeslot … all of a sudden, it’s like; “well, when am I going to get my stuff done? When am I actually going to work on the business?” like we’ve talked about. Stacy: When you block out all of your mornings, it doesn’t matter how many people – even if it’s just 9 to noon, three hours is a lot of time to work on your business, and I bet a lot of people aren’t even working that much on it, because they’re so used to checking their email, jumping on Facebook, communicating with their community – all of those types of things. 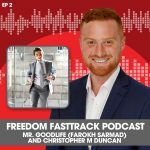 Chris: So, blocking out time and having productive – forward-focused – in the morning, and reactive – proactive in the morning, reactive in the evening. Chris: To me, when I think about proactive – I mean, I’m focusing on strategy and marketing and leadership. What would the chunks be for you? When you’re being really proactive, working on your business? Stacy: I think everybody has something different. So the two things I focus on are marketing and business development. I am the strategy behind everything you see in my businesses. Yes, there are people that are helping me, but I’m really the visionary. I’m the one that’s picking and putting it into play. So, every time I’m doing something in the mornings, it has to do with business development, and then that marketing component. Stacy: So those are my two – those are my vital priorities. Everybody might have something different that they need to be working on, but it is going to be something very close to that. So those are the two things that I am doing every single morning. Chris: Got it. That’s huge. Write that down, everybody listening, and just put a note next to that: Stacy Tuschl told you; proactive in the morning, reactive in the evening. Chris: I do something similar that, that just actually really clarifies a few things, so I really appreciate that. Chris: I’ve got a couple signature questions, because we are getting ourselves towards the end of our show today. It feels like we’ve covered so much! And I knew that would happen with you. Chris: But let me ask you this: if you could do a bit of a time travel, go back to – I don’t know. Back to the beginning. Not the beginning of you, but to the beginning of you as an entrepreneur. And you were able to spend just one minute with yourself. What piece of advice or what would you give yourself right back at the beginning. Stacy: I would say; there is no right time to start anything. It’s always about waiting – like, “oh, if I was just a little bit older,” or “if I just finished doing this,” or “made this much more money,” – all these are making excuses. You just have to be ready to go. Stacy: It’s something I learned a lot later in life, but I wish I had known that in the beginning. There is no perfect time. There is no right time. Just get started. Chris: And the other big question – obviously this is the Total Freedom Podcast – what does freedom mean to you? Stacy: Freedom is just the choice. It’s the choice, the flexibility, to do what I want, when I want, with who I want. Chris: Flexibility and choices – I love it! Chris: We’ve got entrepreneurs out there, and some of them are going to be massively inspired by you – Stacy, we probably need to get you back on multiple times. Number one, we need to talk more about how you took your offline business and travelled the world just using your laptop. Two; productivity. Three; just balancing your whole life – being a mom and doing everything – you’re kind of like superwoman. If there’s a definition of that, I think your face needs to be in the dictionary. Chris: What are your final thoughts, or what do you want to leave with all the listeners out there. What do you think they really need to know at this point? Stacy: One of the things that I learned, just in the past few years where I’m really diving in to it, is the power of collaborations and partnerships. I think we get in the mindset of – you don’t want to share anybody with anybody, but you have to realize; there are so many people out there, and nobody does what you do like you do it. 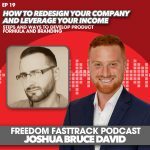 I think the power of those connections, those relationships – whether it’s community partnerships, or your collaborating with other influencers – that’s when you’re going to fasttrack your business. I think, yes, you can do this by yourself, but why take so long when you can fasttrack it and surround yourself with these amazing people? Chris: That’s huge. Stacy, I want to partner with you – that’s how good this is! Chris: What about listeners out there – they want to find more out about what it is you do and get some more information on who you are. Do you have a site they can go to? Stacy: Yeah! My website is just http://stacytuschl.com/ , they can check out tons of free stuff there. 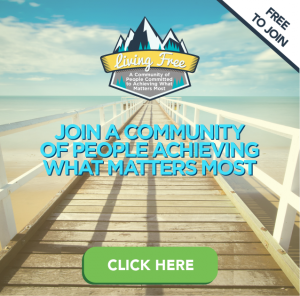 Another great place to catch me is in my free Facebook group, and that’s a little bit easier to spell; it’s Level Up Tribe.com and that’ll get you in the free Facebook group. Either of those places are great, and then my podcast is Business Rescue Road Map (https://itunes.apple.com/us/podcast/business-rescue-road-map-stacy/id1081130355?mt=2). Chris: Business Rescue Road Map – what a great title! Listeners, definitely head over to that. Chris: I just want to say, thank you so much. You’ve brought so much today – and, when I mean so much, I mean, I wasn’t even able to write! You were giving so much quality content – just from being the person you are, and also just the level of things I know you have to do, every single day. For you to spend this amount of time here with us is massive. Chris: [laughs] Obviously not your reactive time. Chris: I think there needs to be more people like you that get the success in business, have that success, and then step into the world of going, “you know what? I actually want to help,” rather than what I sense is a lot of people who are making their success by helping. And I want to ask you about that. What’s the difference when you look for mentorship and look for coaching, look for support? Chris: How do you know? Stacy: Well, I spent so much money on coaches and mastermind groups and all of that. I think it’s crucial. You absolutely have to find somebody. But, yes, you sometimes will take risks. And you might not get in the right group or find the right person, but it’s worth the risk. Stacy: When you find the right person, it’s going to just skyrocket your business. Stacy: For me, I’m always looking for somebody who is doing what I want to be doing. I can just tell, and I can see it everywhere. I can see it on their Facebook, their social media, their website. Any time I’m going, “wow! I can’t believe the kind of value or the kind of content!” I really am a big observer. I don’t just watch what you put out, I watch how you put it out. And I think that’s really important too, because you want to find somebody that is also living the way that you live – with the values that you have, and just be really like-minded. Stacy: So be an observer. Just kind of watch and see who you resonate with. Chris: Massive value, right there. Chris: Everyone listening? If you have loved what Stacy had to say, you go and check out what she can do and how she can help you in your business. I’ve been watching you progress over the last six or seven months, and it has just been awesome to watch. Chris: People out there, looking to take their lives to the next level? The fastest way to move to where you want is to find someone who’s already been there. If you’re a mum, if you’ve got a service-based business that you want to get freedom [from], I highly recommend that you go check out Stacy. Chris: Stacy, again, thank you so much for spending this time with us. I really appreciate you. Stacy: Absolutely! Thank you so much for having me on, Chris, this was a blast.